Nitrous Express Nitrous Accessories - Remote Bottle Opener UNIVERSAL - Pann Auto Performance - San Diego largest aftermarket automotive performance parts - What do you drive? 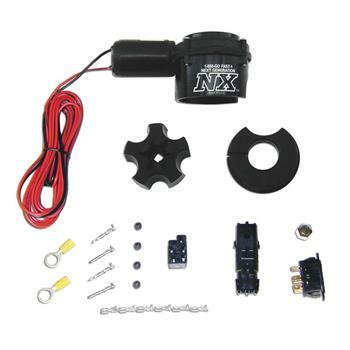 Nitrous Express introduced the nitrous industry’s first servo powered bottle opener in 1999. It has been copied but never duplicated. NX now introduces the “Next Generation” in nitrous bottle openers. This unique new design will operate any brand nitrous bottle and is lighter and sleeker than all the others. Includes the new design billet integrated hand wheel and is easily removed with just a turn of a thumb screw! Supplied with weather pack connectors and all hardware is included. Sure to be copied, but NX’s “Made in the USA” quality will never be matched!